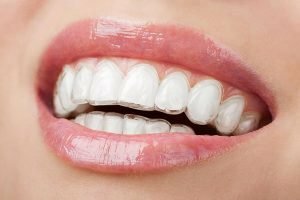 If you are in search of straighter teeth and a stunning smile but don’t want to put up with the inconvenience and clunky appearance of metal braces, Invisalign might be the perfect choice for you. At Alex Bratic Dental Care, we can show you how this modern and effective orthodontic treatment can give you the confidence of an attractive smile, and our skilled dentists take pride in creating beautiful, healthy smiles. But how good your smile looks also depends on how you take care of your Invisalign treatments. We’re here to give you a few tips on how to maximize the results of your Invisalign treatment. Invisalign is an orthodontic treatment that helps to straighten teeth without the use of metal braces. Invisalign has quickly revolutionized the orthodontics world. Invisalign gives patients an option beyond unattractive and clunky metal clamps and wires. Invisalign uses a series of custom-made clear plastic aligners to help shift your teeth into the proper position. Patients who would have never considered braces have given Invisalign a chance, and have been ecstatic with the outcome. One of the best things about Invisalign treatment is that it has a very minor impact on your everyday life. Since the aligners are natural feeling and without pain, they are easy to wear for the recommended 20 to 22 hours a day. Here are some steps to take to support your Invisalign treatment. The aligners pop in and out easily, so you can maintain good oral hygiene just as you would normally. Brushing and flossing regularly is a key part of this. Be sure to brush at least twice a day, for at least two minutes, with a relatively fresh toothbrush. Cleaning your aligners is simple using an Invisalign cleaning kit or just brushing and rinsing them in lukewarm water. Rinse your aligners directly after upon removing them from your mouth. If you let saliva and plaque remain on your aligners, you create a perfect breeding ground for nasty smelling bacteria. Soak your aligners. Denture cleaners or official Invisalign cleaning crystals are good options to keep your trays clear and sanitized. If you have any questions about this, talk to us at Alex Bratic Dental Care. Clean your aligners with a clear, anti-bacterial soft soap. Do not use toothpaste on your aligners, particularly whitening toothpastes. These toothpastes can dull your aligners, or cause them to retain bacteria. Gently brush your aligners. Do not brush too vigorously, as this can scratch your aligners, leaving visible marks on them. Brush and floss your teeth before reinserting your aligners. Since your aligners are custom-fitted to you, failing to brush and floss correctly can lead to particles of food becoming trapped between your aligner and your teeth. This increases your risk for dental issues, including cavities, in the future. Follow these simple steps and your aligners will help you get that superstar smile that you’ve always hoped for! You will also adopt the habit of removing your aligners every time you eat. This allows you to go on eating all the foods you love without limitations or worries about food getting stuck in your wires and brackets. With other teeth-straightening methods, the simple act of eating can often be troublesome. Don’t drink anything but water while wearing your aligners as drinks can stain or discolour your aligners, sometimes even leading to bad smells. When you are eating, be sure your aligners are not unprotected, or left out. Harmful germs can build up on aligners if they are not soaked. Within normal limits, you can eat whatever you want and not have to worry about whether it’s going to damage your Invisalign treatments. Invisalign is a major advantage for athletes, particularly those who play contact sports. Unlike conventional braces, Invisalign clear aligners allow you to play without the worry of sharp brackets slicing up your mouth, lips, or tongue. And Invisalign plays well with mouthguards as well. If your sport calls for a protective mouthguard, just remove your aligners, pop your mouthguard in place, and you’re good to go! To make sure your mouthguard is effective, drop in to Alex Bratic Dental Care to get a custom fitted version, which offers maximum comfort and protection. Alex Bratic Dental Care in Beenleigh delivers quality dental services to patients of all ages. We want you to have a stunning smile. For mild to moderate overbite, underbite, crossbite, crowded teeth, or gapped teeth, Invisalign clear aligners can be a comfortable and convenient treatment! 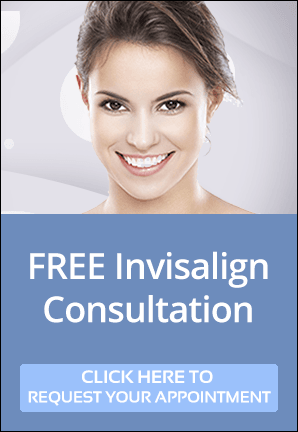 Get your FREE Invisalign consultation today! Call us at (07) 3287 2627 or request appointment online today!